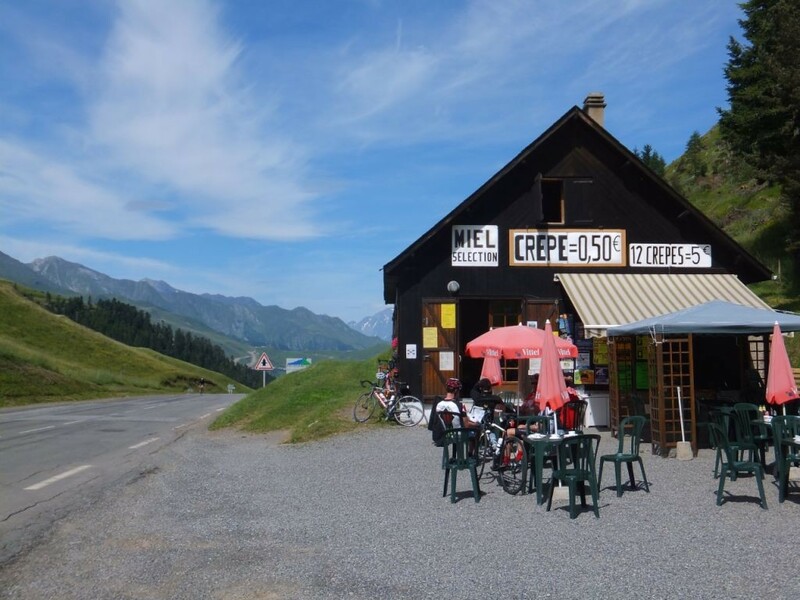 The Café on Col de Peyresourde is well-known to cyclists. It has a well deserved reputation for crepes. A popular stop for hungry cyclists in the heat of summer, the Cafe is always a welcome sight. 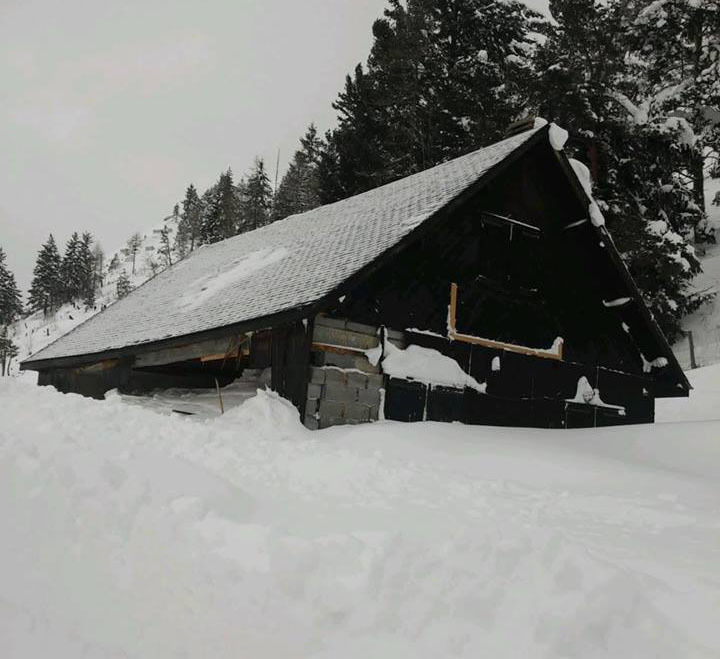 As this photo shows it snows a bit up there and a couple of weeks ago the café was extensively damaged by an avalanche. Col de Peyresourde Cafe damaged by Avalanche. Cafe on Col de Peyresourde in summer. Boy, that looks bad. Hope the owners have insurance and can get it fixed.